Earlier topic: Kelsey 3" x 5"
Where Do I Find New Tabletop Proof Press Equipment? Is tabletop proof press equipment like the Morgan Line-O-Scribe or Sign Press made any longer? I’ve looked everywhere for these presses online (new or used) and cannot find one to purchase. Does anyone know if these presses are made new? My local art supplier hasn’t a clue. Off the top of my head, I doubt if they are made any more, but there are used ones for sale, off and on. Where are you located? This will help us to recommend potential sources, since they are heavy and shipping will be less if you can find one close to you. voil…… why don’t you build one? If you do a search here on Briar Press you will find several postings where folks have built their own proof presses, with good success. I’ve made about a dozen of them, and their owners love them. Don’t beleive any morgan line o scribes are made any more. I have had three over the past few years I have sold, as I had no need for them as I have a nice challenge proof press. Currently one is being used by a coffee shop in Kansas City to print their own bags. Someone recently had a morgan line o scribe for sale on toledo craiglist for $1000.oo. May be a lead for you. 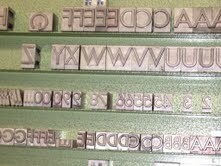 You may try placing a wanted add here on Briar Press. Hope this is helpful. Thanks for your kind help with these responses. I’m located in Texas, but would be happy to know about presses available elsewhere. As suggested, I took a look at a couple of the handmade presses here on the site. While I might be able to carve a form pretty well, I’m not that mechanically adept — but, I’ll keep it in mind and keep looking at the various constructs. I would really just like to find a press like the one we use in our class (a Morgan) or something similar. I anticipate long-term and conistent use of it, so a machine that would be an upgrade to what I’m asking for would be fine as well. My problem is that when I do find something for sale using my internet browser, the thing had already long be sold. Maybe it’s just hit or miss — that’s why I was thinking that perhaps it might be best to just find a new one. I’m also curious why no one manufactures “line o scribe” sorts of machines anymore? Aren’t there other artists just like me who would buy them off an art supply floor with regularity? do you mean this sort of thing?? There’s one on the e-place right now. Put the words Letter Proof Press into their search engine and it will come up. I have a Morgan Line o Scribe for sale in Washington DC. These are images of the press I have. Orignal manuels inclded. 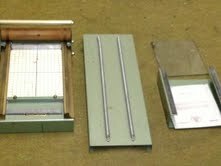 I also sell a full line of hand binding equipment.